Welcome to Alpinhotel Berchtesgaden. 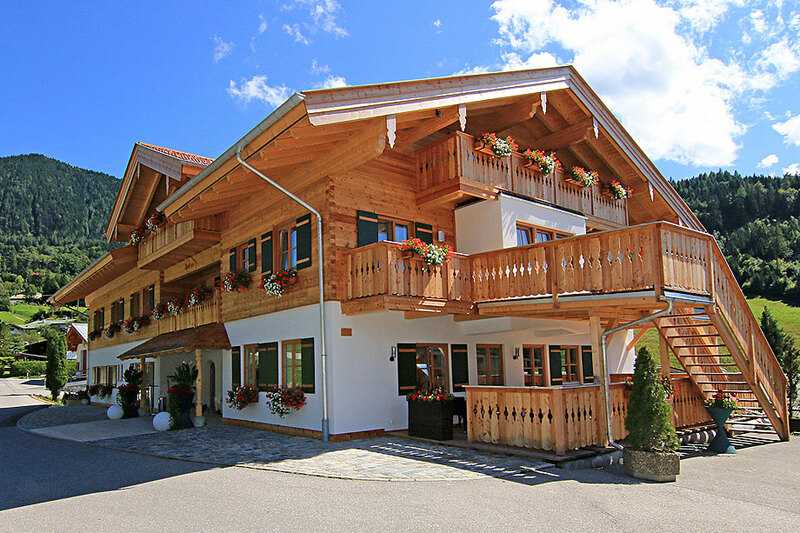 Our hotel is wonderful embedded in the beautiful mountains of Berchtesgaden. Here, at almost 1000 meters in Berchtesgaden-Oberau, you can enjoy the fascinating mountains of the north Alps. Our hotel offers 18 rooms and 44 beds. The double rooms are standardly assigned for 2 person, our family room with 3 persom or even 4 person. If you want to experience an active holiday in the mountains, you are at the right place. We offer a big spectrum related to mountain sports. In summer you can use the offers of the linked Salewa Mountain Climbing School with hikes, a guided mountain climbing tour and many more. Please ask us directly at our hotel and choose the right package for you and your loved ones. You can rediscover the dreamy winter scenery of Berchtesgaden with the support of our own ski school "Alpincenter Wintersportschule Berchtesgaden". 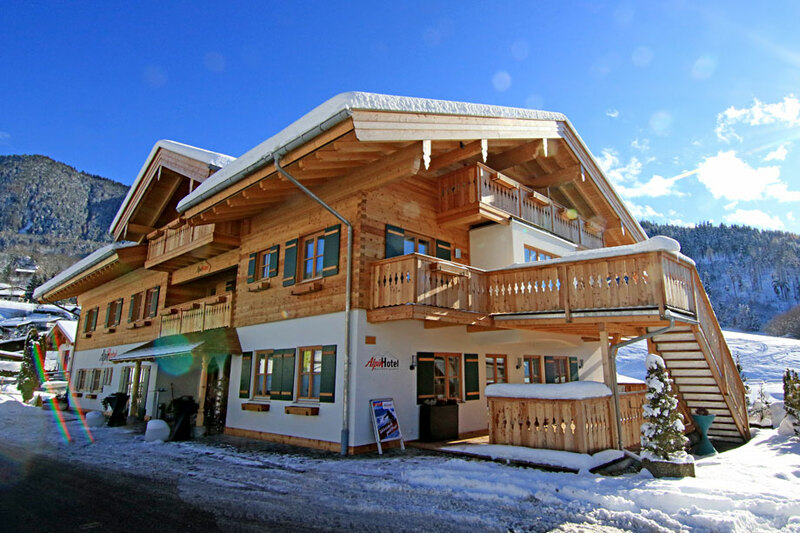 Here, we can support you with an in-house ski hire. We offer an all-around worry-free package for those who want to experience the snow to the fullest. Whether you want to relax or do a active experience. In every season can be found the right offer for your very special holiday in Berchtesgaden. Our family-run hotel offers the perfect setting for a relaxing holiday. The modern rooms new interpret the Alpine style and leave no wishes which won´t be satisfied. Our hotel is a family hotel in the 3rd generation and is now run by the youngest generation. Mountains, snow and everything around it is our life in which we want to welcome you. 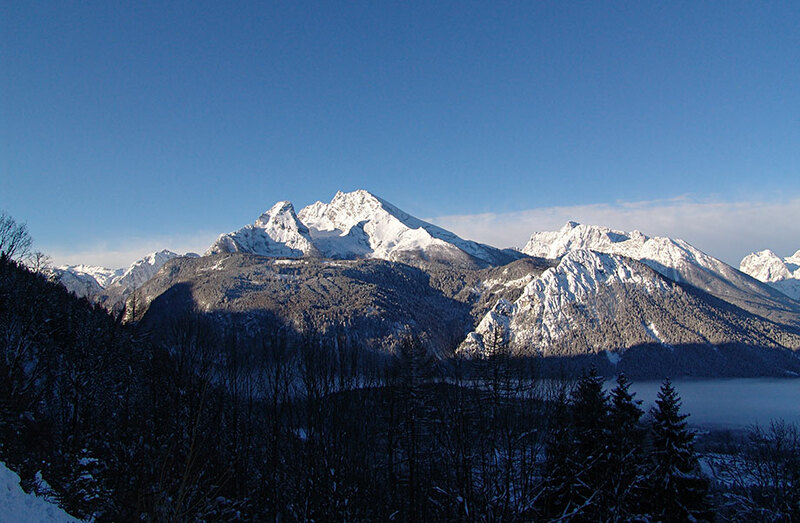 If you´re a sportsmen or not, here in the Alps you will discover the comfort factor brand new - that´s what we stand for.